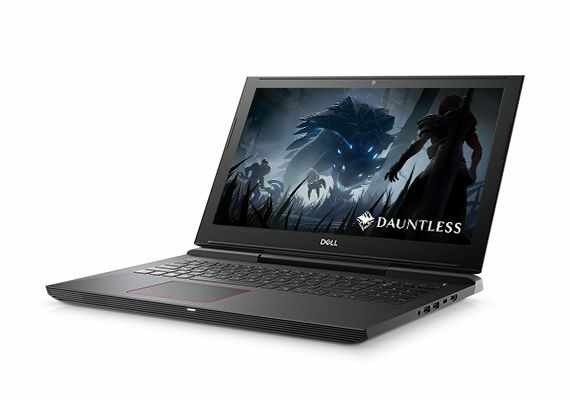 By pulling the Inspiron Gaming notebooks away from the Inspiron series, Dell can now offer more options and sizes to better cater to budget-mainstream gamers who may not want to spend an arm and a leg on a hulking Alienware. The new Dell Gaming G series competes directly against the HP Pavilion Gaming series where the GTX 1050 and GTX 1060 Max-Q are common finds. No word yet on if future SKUs would also carry AMD options. It's clear that Dell will be investing more in gamers especially after the manufacturer published a series of survey results about gamer habits. Outside of the enthusiast-level Alienware branding, Dell has also been offering Inspiron Gaming notebooks designed for budget-mainstream users. The differentiated Gaming G3, G5, and G7 series expands upon the Inspiron Gaming series even further with new screen sizes, new designs, and new SKUs. An overview of the series can be found on our earlier page here. Currently, all available SKUs in the Gaming G family come equipped GeForce GTX GPUs up to the GTX 1060 Max-Q with Intel Coffee Lake-H CPUs ranging from the i5-8300H to the i7-8750H. When Dell initially announced the new series, however, the promised that the G7 model would even carry i9-8950HK options. Future SKUs will likely add more power to the lineup, but it is doubtful that the series will include GTX 1070 GPUs or faster for fear of overlapping with the Alienware series. Unfortunately, the lowest-end configurations are still shipping with primary 5400 RPM HDDs that are notorious to gamers for being very slow. Upgrading to a primary SSD with secondary HDD will cost an additional $50 USD that we believe is well worth the investment if users are not willing to service their own systems. All configurations are thankfully equipped with IPS displays and so users will not need to worry about poorer TN panels like on the older Inspiron 15 7567 and 7577 series. The 15/17-inch G3 is starting at $750 while both the 15-inch G5 and 15-inch G7 notebooks are starting at $850 each.